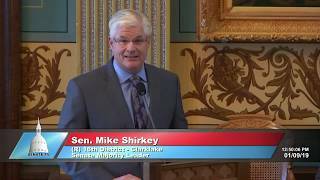 Senate Majority Leader Mike Shirkey delivered his opening address to the Michigan Senate during the opening session of the legislature on January 9, 2018. 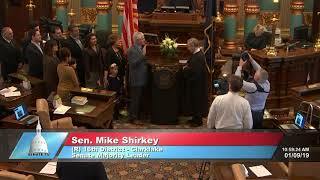 Senate Majority Leader Mike Shirkey takes the oath of office on January 9, 2019 at the Michigan Senate. 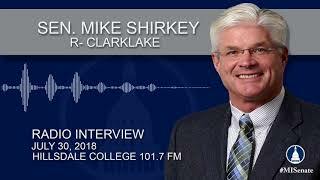 Senate Majority Leader-elect Mike Shirkey, R-Clarklake, appeared on Radio Free Hillsdale on Dec. 17, 2018. 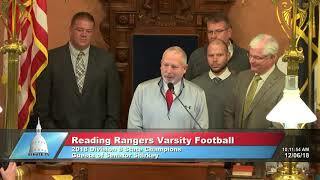 Senator Mike Shirkey, R-Clarklake, honored the Reading High School football team for their 2018 football championship season at the Michigan Senate during the Dec. 6, 2018 session. Senator Mike Shirkey, R-Clarklake, appeared on Radio Free Hillsdale to discuss the evolving opioid laws in Michigan.